Project summary: Beach Court facility in Central London built, based on partnership between City of Westminster and England Volleyball, with support from LOCOG – providing a real legacy from the London 2012 Olympic Games. Location: Academy Sport, Westminster Programme: The sports facilities at Academy Sport are used by Westminster Academy; the neighbouring secondary school during the day for curricular activities. In the evenings, weekends and during school holidays the facilities, including the beach court, are open for public and club use. Initiator: City of Westminster Sports Development Team in partnership with England Volleyball. Project Duration: Beach court opened in May 2012. Lead in Time: 4-5 months from planning to completion Site Area: Approximately 24m x 11m (Roughly the size of a tennis court). Client Team: City of Westminster Council Project Team: City of Westminster Council, England Volleyball, Academy Sport, Westminster Academy. Funding Sources: England Volleyball, Sand donated by LOCOG Funding Type: England Volleyball – through Go Spike grant - £18,000, Donation - LOCOG Project Costs (Build): £18,000 covered the development of an old tennis court into the beach court and included decking, volleyball posts, nets, transportation of the sand to the new facility and a protective cover for the sand. Project Costs (Operation): All revenue costs are tied into the Sports Centre facility costs so the facility staff are responsible for supervising playing areas. The centre pays for local coaches to deliver a coached programme of activity. Participants pay to attend the sessions so the coaching cost is partly covered by this. Hiring out the court to clubs and for private hire generates income against the facility which in turn can be reinvested into the coached programmes. Profitability/Loss: Use of the beach court by clubs and programmed activities covers the cost of coaches and Academy Sport staff to check the playing area on a regular basis. The facility is designed to break even. There is an agreement between Academy Sport and City of Westminster that any loss is covered by the Council. Permissions / Permits: Planning permission was not need because the area was already being used for physical activity. Local Links: The beach facility is on a site with a number of other facilities including a purpose built parkour facility. There are local links to clubs and organisations that use the facilities on a regular basis. The Council is a partner of this facility meaning natural links are made within the local area. Publicity/advertising: The facility has a website, which is used to promote the facilities at the centre and promote the activities that take place on a regular basis. Flyers and posters were produced to promote the new Beach Sport programme which is delivering coached and led session to the community. 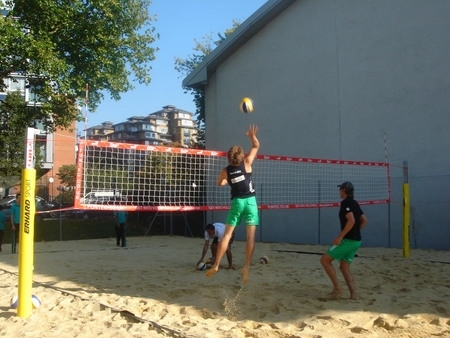 The opening of the beach court received both online and print publicity. 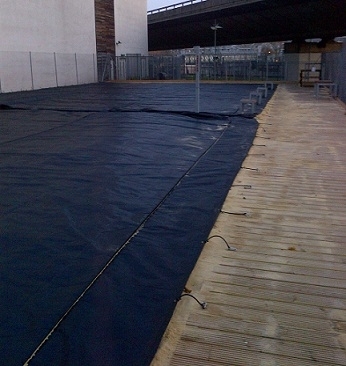 The beach court area does not have floodlights meaning the facility cannot be used once it gets dark. The recommendation would be for future similar facilities to consider floodlights to enable usage in the evenings. The facility is so flexible it can be used for a large number of activities. There is high demand for these facilities from local people as well as National Governing Body clubs. Integration into a supervised site such as a school/ sports centre has been a good partnership in order to obtain maximum use of the facility. It is important to have staff available to initiate activity in the early stages so users can get the best use from the facility.